Levi and God have a deal: Levi will devote his life to preaching, and God will bring Levi's outlaw brother back into the fold. It sounds easy enough until Levi meets britches-wearing, horse-riding, independent Glory Hamilton. Does God make deals with men-or is Glory just a test of Levi's faith? 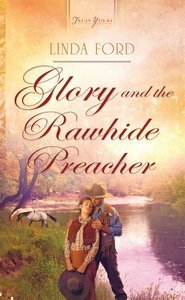 About "Glory and the Rawhide Preacher (#983 in Heartsong Series)"